You can download and/or print these from the SEC SCN website. If you already have an account with e-LfH, then you can enrol on to the Clinical Pathways for Sick Children programme by logging in to the e-LfH Hub, selecting My Account > Enrolment and selecting the programme. You can then access the programme immediately in the My e-Learning section. 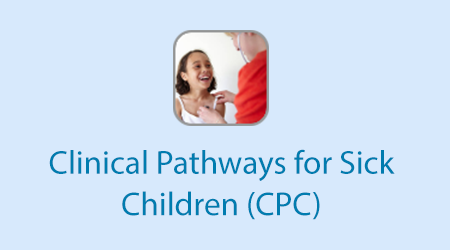 The Clinical Pathways for Sick Children programme is also available to NHS healthcare staff via the Electronic Staff Record (ESR). Accessing this e-Learning via ESR means that your completions will transfer with you throughout your NHS career.